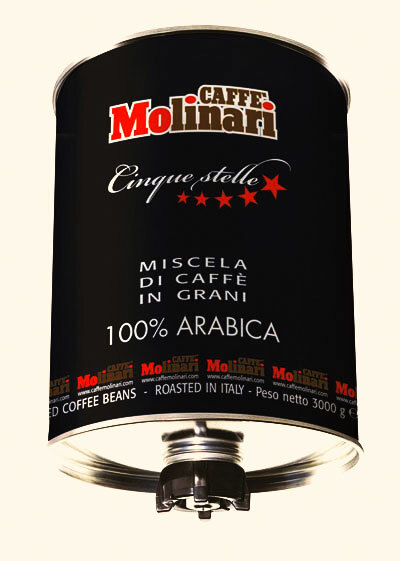 Cinque Stelle coffee beans – pressurized and modified atmosphere. An innovative packaging system capable of tightly sealing in the natural aromas, taste and fragrance of freshly roasted coffee for a shelf-life of three years. It guarantees the natural maturing of the coffee in its own oils and volatile aromas, improving the quality. A sweet and aromatic blend, for a light coffee with an acidic note. State-of-the-art technology is used for the packaging, in a protective atmosphere and pressurized, which allows the product to be stored for 3 years from the date of packaging. This process guarantees the natural maturing of the coffee in its own oils and volatile aromas, improving its quality. The coffee stays fresh for several days after opening. 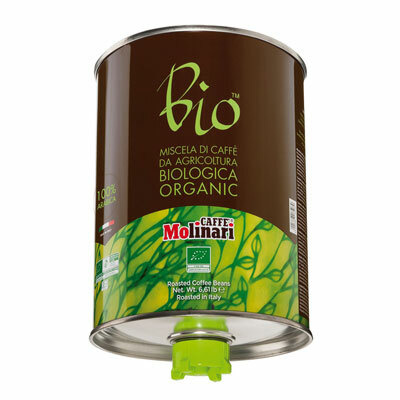 The tin also has a special sealing valve, so that it can be resealed in the case of limited consumption. CERTIFIED ORGANIC. The bag can be disposed in the organic compost waste. 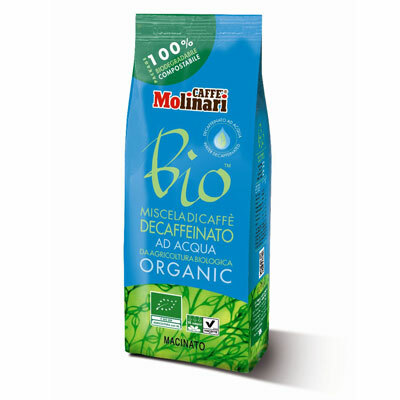 For the first time, water-decaffeinated ground coffee, 100% natural without the use of chemical solvents, in a revolutionary, fully biodegradable package. The bag can be disposed in the organic compost waste. Our packaging process guarantees the natural maturing of the coffee in its own oils and aromas, improving the quality. Grinding of selected coffee, good for both Mocha and espresso machines. 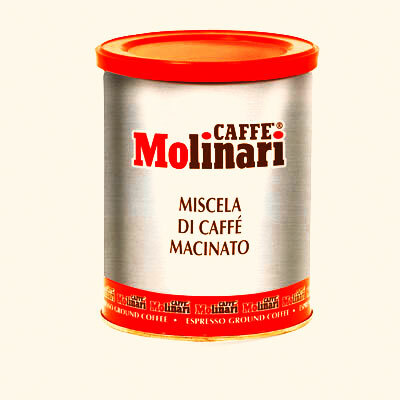 A blend of coffee which has been decaffeinated using the most up-to-date techniques. 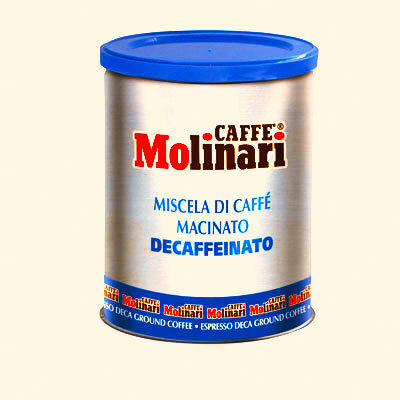 It is perfect for those who want to give up caffeine without giving up the pleasure and taste of good coffee.